Yadira Zepeda, Fort Worth's Top Attorney in Immigration, is from the Rio Grande Valley where she earned a Bachelors degree in Political Science, a minor in Psychology, and a Social Studies Composite. Prior to practicing law, Yadira taught History in the south Texas public school system, and clerked with the 13th District Court of Appeals and the 360th District Court Judge in Tarrant County. After graduating from law school near the top of her class, Yadira Zepeda went on to practice Immigration where she has since handled an extensive number of cases amounting to over 2000 and counting. Being a first generation bilingual U.S. Citizen, and having lived in Mexico, she knows first hand the hardships which exist within the Immigration process and, therefore, takes the approach of readily preparing the client, informing the client of all possible outcomes, and providing the client with a full understanding of the law as it applies to their case. Ms. Zepeda's primary focus is on immigration cases ranging from family and business based immigration to deportation defense. 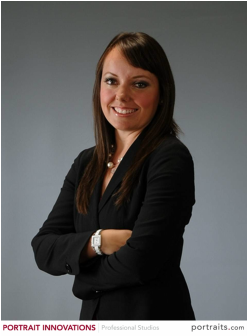 She works with in-house family law and criminal attorneys to attain the immigration results her clients deserve. Our firm believes that family law matters dealing with divorce and criminal law matters with respect to convictions greatly affect the outcome of an immigration matter. As a result, our firm is represented by highly skilled family and criminal law attorneys that will help our immigration clients obtain the outcome that they are looking for. Contact Fort Worth's Top Immigration Attorney today to help you determine whether you will possibly qualify for deferred action under Obama's 2014 Executive Plan! Yadira Zepeda is a member of the American Immigration Lawyer's Association (AILA), Tarrant County Bar Association (TCBA), American Bar Association (ABA), the Hispanic Chamber, is licensed with the Texas Real Estate Commission, and is licensed in the Northern District of Texas and the Eastern District of Texas. Ms. Zepeda is also a member and officer of the Junior Women's Club dedicated to community fundraising for local non-profit organizations such as those that assist victims of domestic violence. Yadira is also heavily involved in the recent Vicente Fox Presidential Series where she helped assist Ex-President Vicente Fox in its fundraising objective to benefit children in Mexico and the United States - she was a level Ambassador to the series.